US: Probable next US secretary of state John Kerry called for “fresh thinking” Thursday as he outlined his foreign policy agenda and plans for relations with Iran, China and the Middle East. “American foreign policy is not defined by drones and deployments alone,” he told the Senate Foreign Relations Committee, which must decide whether to not to confirm Kerry in the post of America's top diplomat. “We cannot allow the extraordinary good that we do to save and change lives to be eclipsed entirely by the role that we have had to play since September 11th, a role that was thrust upon us,” he said. US foreign policy is also about aid, and food security, fighting disease, poverty and repression, and giving “voice to the voiceless,” Kerry said. 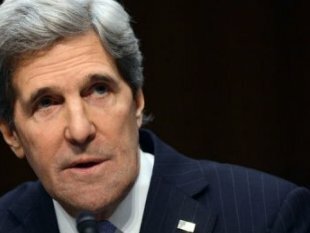 Kerry -- a Democratic senator best known outside the United States for his unsuccessful 2004 presidential campaign -- was nominated last month by President Barack Obama to take over from Hillary Clinton. During his almost four-hour hearing, he laid out his thoughts on some of the world's top challenges.